Of course, it’s been consistent play on the weekend that has derailed Dufner from going on to win. That includes a 36-hole lead at the 2012 Masters earlier this month, as he was not able to go on to play a major factor on Sunday. But Dufner controls a one-shot lead over Russell Knox, John Rollins and Greg Chalmers going into Saturday at TPC Louisiana. 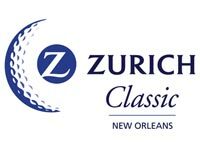 Dufner is also at the top of the odds to win the Zurich Classic of New Orleans, set at 4/1 on lines available at Bovada Sportsbook. But let’s face it guys, Dufner has yet to prove himself on the weekend. Though he might be one of the best players right now without a single win on the PGA Tour. As for me, give me someone who knows how to win. And some of the big names went low on Friday, including world’s No.2 ranked Player Luke donald, who carded a 7-under par round of 65. And then there is Steve Stricker, who sits just two shots back, along with Ernie Els. That friends, is plenty of experience and several players who know how to win. Those are the ones trailing Dufner into the weekend to pay attention to, and if you don’t think so, then you might need to watch a little more golf. Tournaments are not won on Fridays, they are won on Sundays. But it’s about time for Dufner to break through, and I for one will be rooting for him to get it done on the weekend. What has been a disappointment it Bubba Watson, though it’s hard to expect him to come out and win after just getting the biggest victory of his life at the Masters. Watson made the cut right on the number at 2-under par. This tournament is shaping up to be pretty exciting over the next two days.